Original painting in acrylic on cotton, painting size 65x 47cm, framed in gold coloured wooden frame with glass. The painting is decorated with acrylic gold. 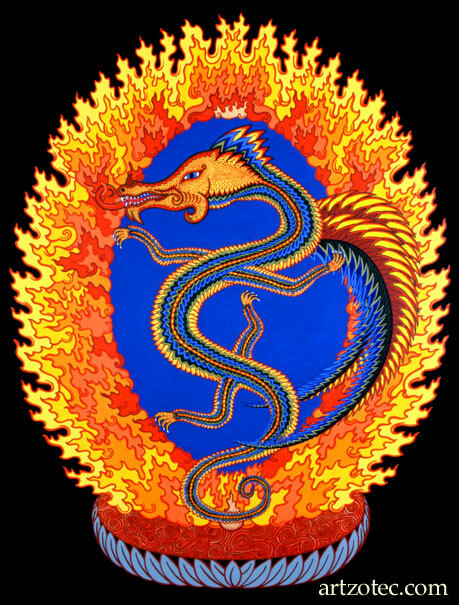 The Rainbow-Feathered Serpent is a spirit being which appears in the mythologies of many cultures around the world. It is a symbol of the connection of Heaven and Earth and of spiritual harmony.